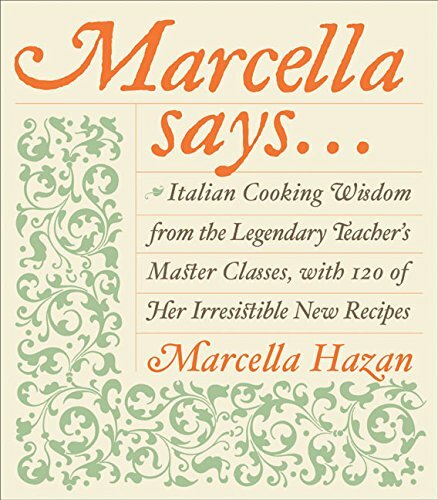 I was deeply shocked and saddened to read of the passing of cookbook author Marcella Hazan two years; she died on September 29, 2013. Although Mrs. Hazan had not published a new book since 2008 and had mostly spent her last few years living quietly out of the spotlight, it felt as though she was always there as a presence in my own kitchen, constantly revealing and teaching me new things about Italian cooking. 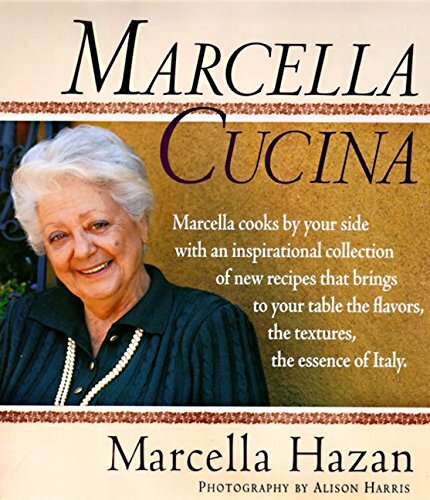 Indeed, Marcella Hazan is a legend in the home-cooking world, an author credited with bringing true and authentic Italian cooking to American chefs as never before. Marcella's Italian food is not the "spaghetti and meatballs", "red gravy"-style many of us grew up knowing and eating and calling Italian (but is really Italian-American cuisine). Marcella was a purist, whose recipes only reflect traditional methods and ingredients as would be found in an authentic Italian kitchen. With methodical detail—and sometimes a brusque, disdainful attitude toward "shortcuts" like using pasta machines or a garlic press—she would carefully describe the fussy details of, for instance, properly washing and cleaning clams before preparing white clam sauce, trimming an artichoke, or salting and drying an eggplant before frying. She spoke up for using seasonal, local ingredients long before "farm-to-table" became a catch phrase of the cooking industry; she taught many of us how to respect and find beauty in the simple, pure flavors that define real Italian cooking. Eggplant parmesan - as I learned to make it from Marcella's cookbooks.Marcella Hazan was a huge influence on me as a home cook from even an early age. 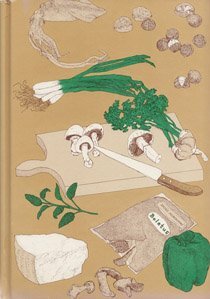 I remember my grandmother had a well-worn copy of Marcella's (now long out-of-print) second cookbook, More Classic Italian Cooking. I helped my grandmother prepare many of those recipes and they were some of our favorite family meals, especially on the weekends when we had the time to prepare more complicated and lengthy dishes like Ossobuchi in bianco (braised veal shanks) or Carciofi e patate passati al forno (gratin of artichokes and potatoes). 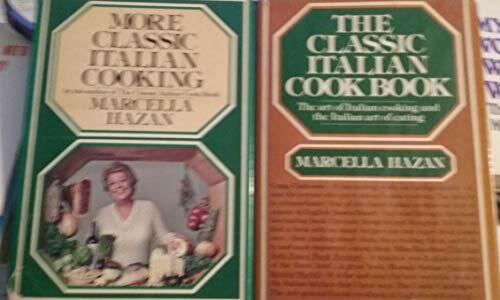 Thanks to Marcella—and my grandmother—I learned as a teenager how to make classic Italian dishes like Veal scaloppine, Canestrelli Trifolati (Sauteed scallops with garlic and parsley) and even, as gruesome as it may sound, Spaghetti al sugo di pesce (spaghetti with fish-head sauce). Today, there is still not a week that goes by where I don't cook at least a few dishes from one of Marcella's cookbooks. I'm always revisiting old favorites or learning new things to cook from her, like how to prepare a wine-braised breast of veal or a stuffed beef braciole. Whenever I want to cook something Italian, I always reach for her books first before looking up any alternative preparations or recipes. Marcella's Italian Kitchen is perhaps my favorite of her cookbooks, not just for the recipes but for her stories and introductions to each dish. She talks of regional tradition and of the "Elementary Rules" of "The Taste of Italian Cooking" ("Use herbs and spices sparingly. Think of them as a halo, not a club.") 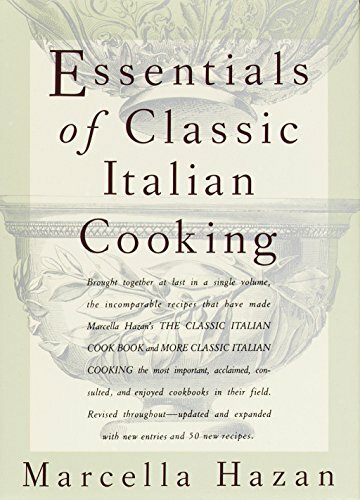 One of my favorite recipes from this book is the Costolette di Vitello alla Guido Reni: a complex-sounding dish of grilled veal chops stuffed with vegetables and cheese, which is actually quite simple to prepare and sure to stun any dinner guest with their apparent difficulty. But with Marcella guiding you, no recipe is out of reach for the home cook. Thank you, Marcella, for all you have taught me and all the inspiration you have brought to my kitchen and table! 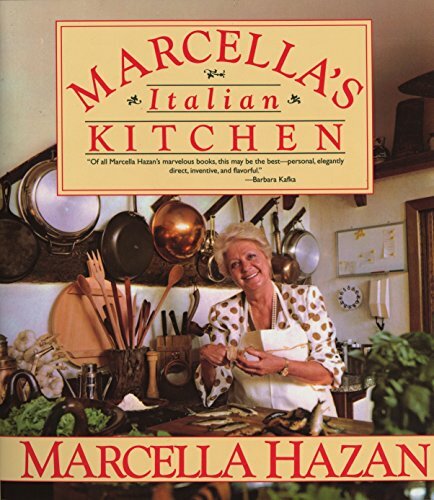 Which is your favorite Marcella Hazan cookbook? I'm not familiar with any of these titles. Marcella's story is actually quite unique. Born in 1924, in the village of Cesenatic in the Emilia-Romagna region of Italy, she was not a "cook by birth" but one who learned cooking after her marriage in 1955 to Victor Hazan. Before then she had studied and earned a doctorate degree in biology and natural sciences. (I would wager that her scientific studies influenced her precise, methodical approach to cooking and writing recipes!) She and her husband moved from Italy to New York, where she began trying to replicate the flavors she remembered of her home country in the New World. It's not going too far to claim that America would never have fallen in love en masse with Italian food were it not for Marcella Hazan. The food world lost a giant today, and chefs around the world mourned the death of cookbook author and Italiah chef, Marcella Hazan. "Lorennn" -- I can still hear that smokey, Italian-accented voice in my head. It belonged to the extraordinary Marcella Hazan who died a week ago in the art-filled apartment on the Gulf of Mexico that she and Victor, her husband of 60 years, shared. Even people who have never heard of Mrs. Hazan cook and shop differently because of her, and the six cookbooks she wrote. 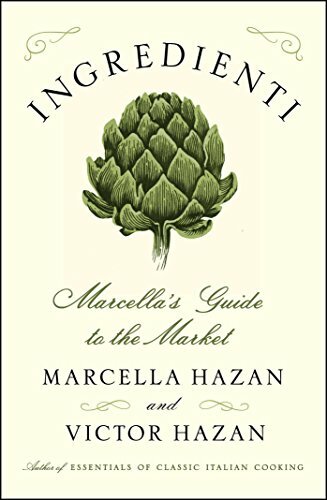 Published in 2016 from handwritten notes left my Marcella, "Ingredienti" is a volume all about how to select the best ingredients at the market for your cooking. "Before you know how to cook, you must know how to shop" - sage advice any Italian home cook should understand, and here, Marcella's husband Victor shares with us this lasting gift of Marcella's wisdom and expert advice.